Since 2007 13FOREST Gallery has been working with some of the finest artists in the Boston area to bring recognition to their work and to link them directly with the public. 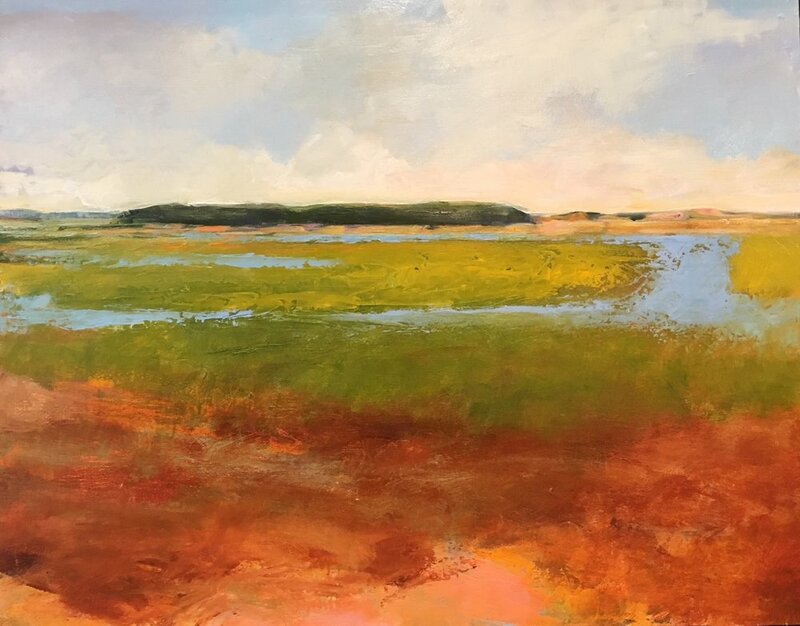 Last summer our pop-up exhibition at Gallery 444 in Provincetown allowed us to connect with visitors from all over the country, and this year we look forward to forging more connections within the art community of Provincetown with a two-week exhibition. This year 13FOREST at 444 offers a new selection of artists whose work represents the exceptional quality and range of our collection. From abstract prints to contemplative self-portraiture and lively scenes of P'town, 13FOREST at 444 embodies the best that the Boston art community has to offer. A curated selection of unframed works will also be on view. 13FOREST at 444 will feature the work of Nicole Duennebier, Andrew Fish, Catherine Graffam, Jeffrey Heyne, CJ Lori, Wilhelm Neusser, Mary O'Malley, Heather Pilchard, Karla Quattrocchi, Jean Segaloff, Julia Talcott, Dorothea Van Camp, and many more. Browse the complete catalog for 13FOREST at 444 here. Don't miss the Friday Night Gallery Strolls on Commercial Street - we'll be holding receptions on both August 31 and September 7, 6-9 pm. View the complete catalog of work from 13FOREST at 444 here. Nicole Duennebier received her Bachelor of Fine Arts at Maine College of Art with a major in painting. She currently lives and work in Malden, Massachusetts. 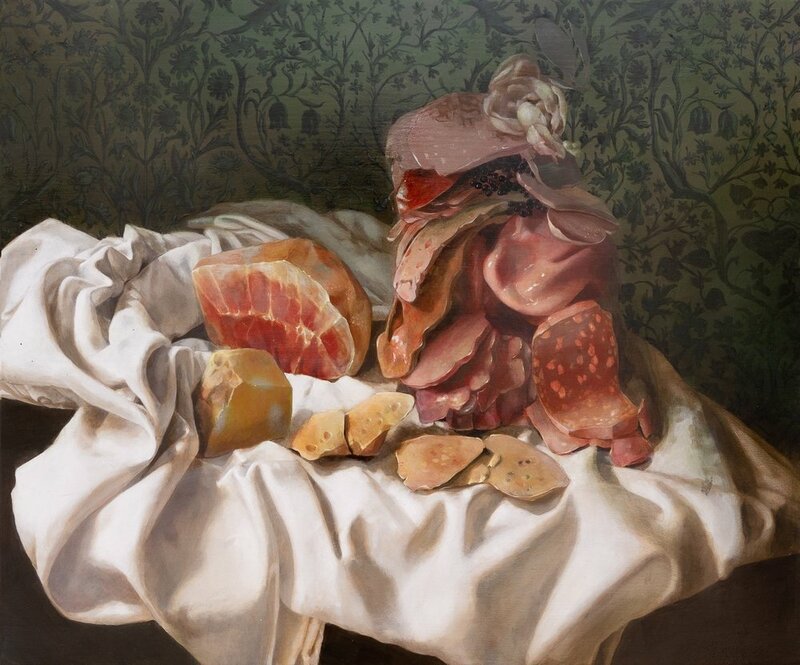 Duennebier's work explores the natural connection she observes between the darkness and intricacy of undersea regions and the aesthetic of 16th century Dutch still-life painting. She was most recently featured in Pushing Painting at the David Winton Bell Gallery at Brown University. Andrew Fish studied at the School of Visual Arts, New York and Middlebury College. He lives in Somerville, Mass. and exhibits in Boston, Washington, DC, and New York. Through his work Fish is interested in depicting and responding to his surroundings as a documenter of contemporary life. Catherine Graffam is a painter, printmaker, and draftswoman living in Lowell, Massachusetts. She graduated with a Bachelor of Fine Arts in painting and drawing from the New Hampshire Institute of Art in 2015. Graffam's current body of work consists primarily of self-portraits, and is a way for her to process her experiences and regain agency over her body as a trans woman. Jeffrey Heyne was born and raised in Bristol, Connecticut. Heyne is intrigued by accidental or unconscious beauty, and much of his early work focused on portraying industrial architecture in a heroic light. Lately he has been reevaluating deliberate and conscious design by architects and artists who strive to imbue meaning but seem to miss the mark. CJ Lori is a self-taught oil painter and mixed-media sculptor. She holds an undergraduate degree from Boston University and has lived and worked as an artist in Brookline, Massachusetts for over thirty years. Her work reflects her interest in literature, anthropology and psychology, as well as an abiding fascination with the natural world. 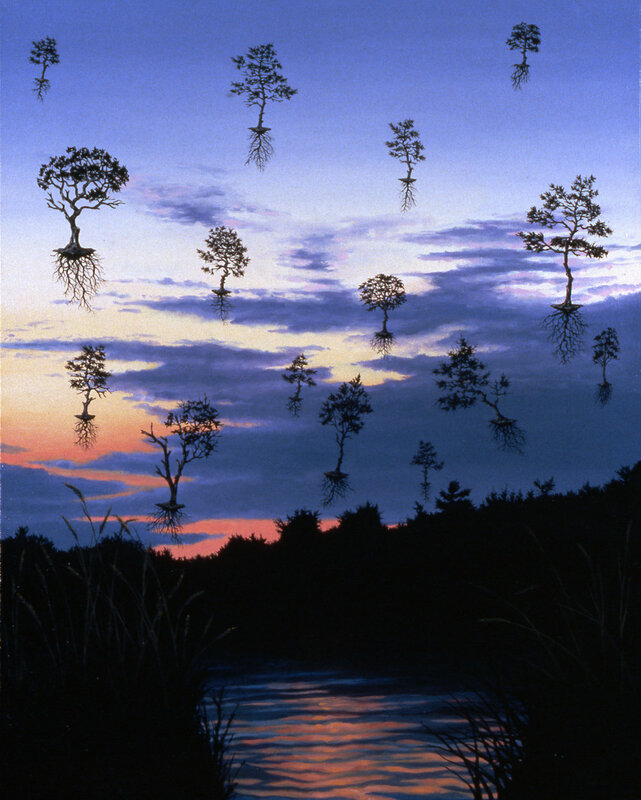 Often called "neo-surrealism" or "magic realism," Lori's paintings explore the complex relationship between humanity and the environment. Wilhelm Neusser was born in Cologne, Germany. He studied at the Staatliche Akademie der Bildenden Künste in Karlsruhe. Neusser's work has been widely exhibited and he has received numerous awards and fellowships. He lives in Cambridge and works in Somerville, Massachusetts. Through December 2018, his work is featured in The Lure of the Dark at the Massachusetts Museum of Contemporary Art. Mary O'Malley earned her Bachelor of Fine Arts from the Massachusetts College of Art and Design and her Master of Fine Arts from the School of Visual Arts. O'Malley's work has been exhibited widely, including in a show at the DeCordova Museum and Sculpture Park and, this past spring, in a solo show at Tower Hill Botanic Garden in Boylston, Mass. In 2010, her work was acquired by the U.S. Embassy in Dubai. She lives and works in Rochester, New Hampshire. Heather Pilchard is a painter, photographer, bookbinder, and teacher. She graduated from the School of the Museum of Fine Arts in Boston with a Bachelor of Fine Arts. Pilchard currently lives in Wellfleet on Cape Cod. Pilchard's paintings serve as meditations on the natural world, for which she feels deep awe and respect. 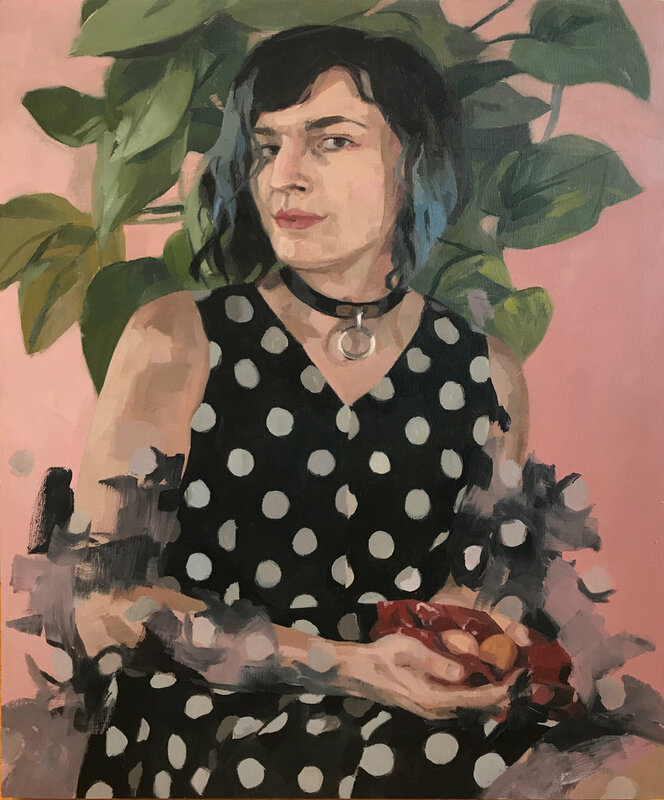 Karla Quattrocchi received her Bachelor of Fine Arts from the School of the Museum of Fine Arts/Tufts University with a concentration in painting and drawing. Her paintings incorporate multiple mediums, including acrylic, pencil, plastic and tar. Each composition uses a structured amount of space and adheres to a flat picture plane. Through her abstract narratives, Quattrocchi plays with meaning, always leaving the story to the viewer's imagination. 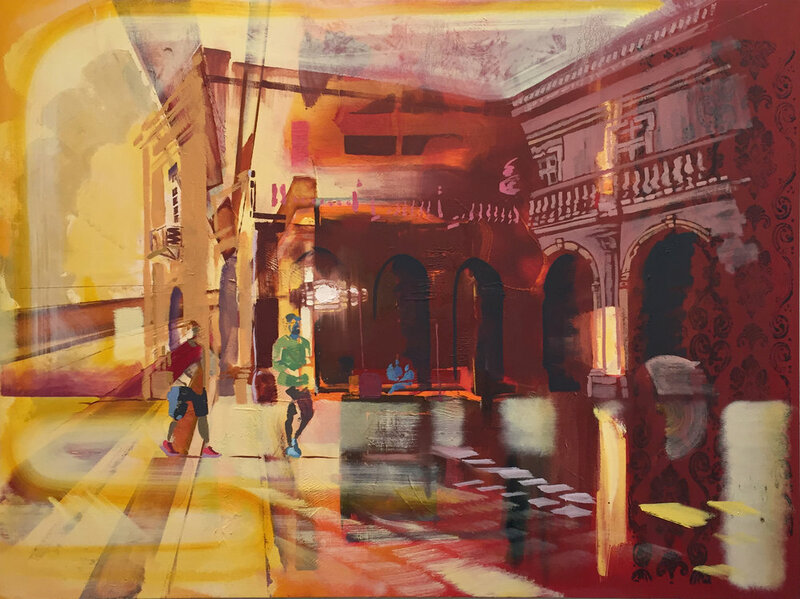 Jean Segaloff is a watercolorist, printmaker, bookmaker and ceramicist who lives and works in Cambridge, Massachusetts. Her work is about connecting with materials. She imagines the best way to describe what she wants to say visually and then chooses the medium to communicate that experience. She is curious about how one medium interchanges with another, and builds on that interchange to produce her own narrative. 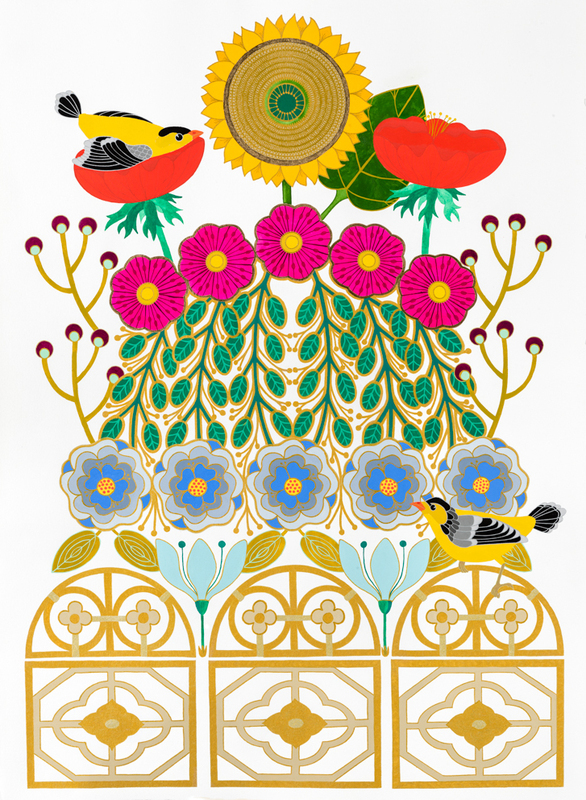 Julia Talcott has been an artist for as long as she can remember and has worked as an illustrator since 1985. She received her Bachelor of Fine Arts from Williams College in Williamstown, Massachusetts, and her Master of Fine Arts from the Cranbrook Academy of Art in Bloomfield Hills, Michigan. Since that time she has also added printmaker and teacher to her resume. Talcott currently teaches relief printmaking techniques at the Mosesian Center for the Arts in Watertown, Mass., as well as the Maud Morgan Arts Center in Cambridge, Mass. Dorothea Van Camp has studied at the Rhode Island School of Design as well as the College of Design, Architecture, Art & Planning at the University of Cincinnati. She currently lives in Boston, Massachusetts. The printed mark has always been an important presence in her work. In recent years she has been using vector-based computer drawings to suggest, among other things, the intersection of body with technology.